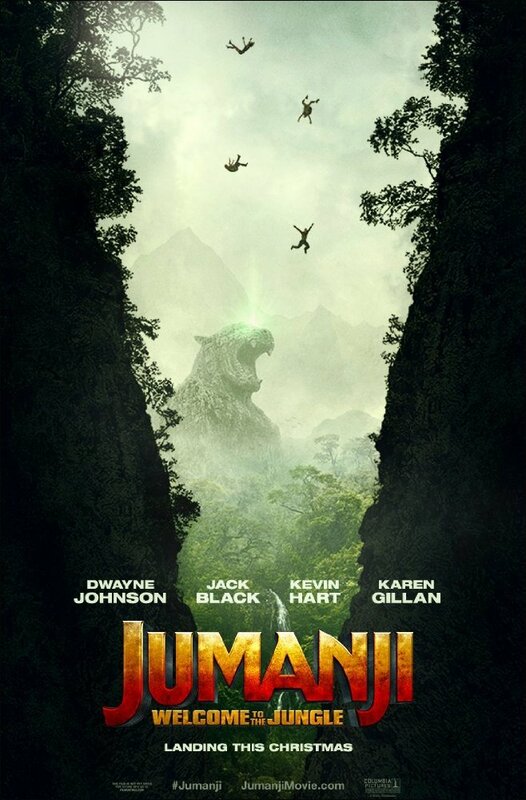 In a brand new Jumanji adventure, four high school kids discover an old video game console and are drawn into the game’s jungle setting, literally becoming the adult avatars they chose. What they discover is that you don’t just play Jumanji – you must survive it. To beat the game and return to the real world, they’ll have to go on the most dangerous adventure of their lives, discover what Alan Parrish left 20 years ago, and change the way they think about themselves – or they’ll be stuck in the game forever. This entry was posted on Thursday, June 29th, 2017 at 2:06 pm	and is filed under Film, News. You can follow any responses to this entry through the RSS 2.0 feed. You can skip to the end and leave a response. Pinging is currently not allowed. « Media-Ocrity #45 – SNES Classic, Best Drummers and Songs, Harry Potter!